So I was interviewed a few weeks ago by Marisa Meltzer (author of two books on feminism) for an article for Slate.com about abortion doulas. The title is: What’s an Abortion Doula? They’re strangers who will hold your hand while you go under the knife. To Marisa’s credit, there is a chance she had nothing to do with the title. I’ve written articles before where the title that was slapped on was one I had never seen. But, that possibility aside, what a terrible title. The first part that pissed me off was “while you go under the knife.” What a sensationalist way to talk about abortion!!! Many of them don’t even involve “knives” or scalpels, as they are called by medical professionals. Most abortions are done using a manual vacuum aspirator, which uses a canula (long tube that suctions) not a knife. But the technicalities aside, it’s such a sensationalist way to talk about abortion. You’d think this might be an anti’s article about abortion doulas. Even as a pro-choice feminist, when I heard about abortion doulas my first thought was: Are women really so fragile that they need to hire a complete stranger to hold their hand at the doctor’s? 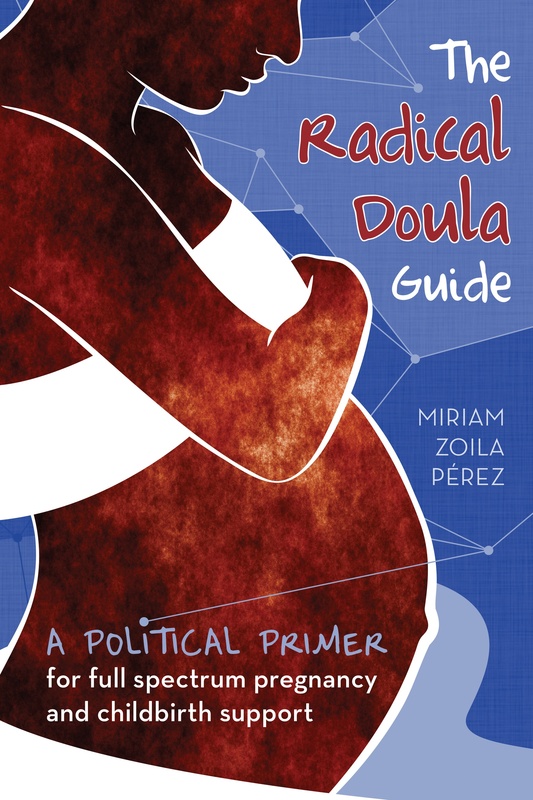 Though I don’t share Doula Lori’s views, abortion doulas seemed a little unnecessary to me. Doulas don’t do anything during an abortion that a friend or clinic worker couldn’t do. I can’t really understand how it can be feminist to say that women are FRAGILE if they need or want a support person during a medical procedure. Especially a medial procedure like an abortion or a birth. Let’s shame women for what they need! That’s totally feminist. And if abortion doulas weren’t necessary (because a clinic worker or friend could play the role) then why are clinics in NYC banging down the doula project’s door? If these folks weren’t fulfilling a need they wouldn’t have a project. That’s the thing–the doctors and clinics like having the doulas there, and so do the women. That’s all that matters. She ends the piece, thankfully, on a less dismissive note. The success of the New York doula project has inspired women in other cities to mimic their efforts. There are groups in Asheville, N.C., Greensboro, N.C., and Seattle organizing abortion doulas, and the L.A. Doula Project will be opening in a clinic this spring. Pérez puts the whole thing into perspective for me with a story about her brother having emergency appendicitis. “I totally was his appendicitis doula,” she laughs. “My job is [to ask], ‘What can I do to make you feel better?’ ” What woman going through a fraught experience wouldn’t want that? You can read the whole piece here. I’m glad that doulas who work across the spectrum of pregnancy are getting attention, but it’s frustrating not to be able to control the message. Thanks for bringing this to our attention, Miriam. I just posted the following comment on Slate.com and I hope we can help shape future messages about abortion doulas and highlight the incredibly valuable nature of this work. “I wholeheartedly commend Marisa for bringing attention to the important work of abortion doulas. However, the tone of the article misses the point and does a disservice to women and feminism. As Lead Coordinator of Full Spectrum Doulas in Seattle, we work to provide nonjudgmental and compassionate support to women through the full spectrum of their reproductive decisions. Every woman is different and every woman’s emotional experience before, during and after an abortion is unique. Calling women “fragile”, calling abortion “fraught” and calling abortion doulas “unnecessary” denies a woman’s individual circumstances and dangerously pigeonholes all women and their experiences, a direct contradiction to the values of feminism. Yes, some women need more support than other women and some women don’t need any support. Some women fortunately have a support network made up of partners, friends and family members that they can trust and rely upon. But some women do not and often these women go through an abortion alone and fearful of social, cultural and religious judgment, stigma and isolation. But none of these women are fragile. To come to the decision of having an abortion takes courage and self-advocacy and I continue to be inspired by the strength of these women. So please, before you put harmful labels on women making important life decisions and exercising their reproductive rights, stop and ask yourself if that kind of judgment has any place in feminism. Well said Ali! You’re awesome. An abortion doula was exactly what I needed just about two years ago. I knew her in passing. We are both doulas. Both aspiring midwives. I did not want to depend on the clinic office staff to be the grounded, present support I needed. It was my way of controlling something to a certain degree. An advocate at the clinic is the clinic’s employee. And even though I found out the staff was incredible, I needed someone there owed nothing to the clinc and only to me. And yet, if you are a supportive midwife attending a homebirth in New York City, you will lose your license. What is wrong with this picture?